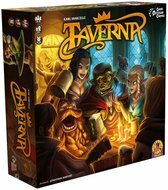 During the Day Phase, players play Tavern cards from their hand with Gold to build up their tavern, so that during Night Phase more Patrons will come to their tavern and spend more gold. One key feature in this game is Trading. 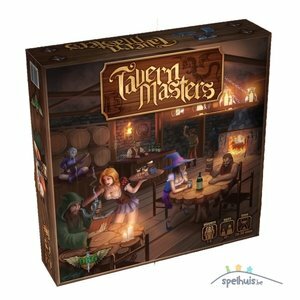 Players can trade goods and staff cards from their hand or their tavern, which adds for both a fun game dynamic and great player interaction. Another fun dynamic is that turns are taken simultaneously during each Phase, so there is no "player down-time". Also, there is no "player elimination". In the base game of Tavern Masters, there are no "take that" cards, or cards which would negatively impact another player directly. 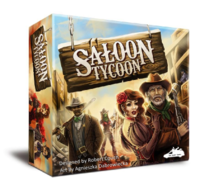 This makes for less tense game-play for players who do not enjoy looking over their shoulder each turn at who will attack or betray them. 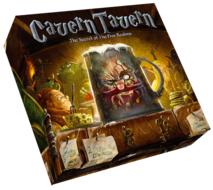 For players who do enjoy more of the "take that" card play interaction, there is the Dirty Deeds Expansion, which adds in nasty tricks to play on the other tavern owners. The Dirty Deeds Expansion is mainly intended for Competitive Play mode.